I have a psu from my T-Bone SCT700 (which is the GT-2B I believe) and I can safely say that the DU67 (poctop) PSU circuit with the 2 transformers and everything will not fit in there. Eric (tskguy) and I have found a suitable Hammond box available from Mouser that does the job nicely and Dan (collective cases) has a PSU box that is perfect as well (and it's machined and painted with a handle). If someone was going to use the Chinese PSU box for a G7 circuit I believe that would work. For the large number of commits from Europe, please take note of the package weight and size for the GT-2B and HT-11A microphones. If anyone is aware of a courier service that can deliver these at a reasonable rate, please let me know. They are much heavier and bulkier than I had originally anticipated. Just let me know when to send you the payment. I've already reserved 4 bodies but I would like to get an estimate on shipping to Sweden. I will only charge actual shipping/packing costs and am open to shipping via a preferred company if different from USPS. I will be able to supply actual package dimensions and weight when the order is ready if you wish to search for pricing online. Your page 2 of this thread has some form of malware. Page 1 and page 3 is ok. I think it is a link added. Just thought Id warn you. Im running Chrome on PC. due to higher than expected demand, increasing Alctron HT-11A order by 26 units. That should stabilize things. Do you have any pictures of the U67 body with a capsule inside the headbasket? Curious how its height compares to that U67/87 you picture next to it. I may want to reserve 4 U67 bodies. This is a photo of the stock SYT-5 with the Lundahl transformer option. Shows the K67 capsule position. Looks to be proportionally lower than the U87. A different capsule mount could make closer. . . a plexiglass shim could also do the same I guess. 1 SYT-5 for me please! Any inside dimensions on the SYT-5? It's been confirmed that SYT-5 body is not long enough to fit the G7 PCB. A new PCB would have to be laid out or point to point build fir it to work. Quick question: does the SYT-5 come with the tube mounting bracket thingy? Also, just an aside, but it may be cost effective (or maybe not or too complicated) to ship to one person in Europe, and have that person ship forward. Don't know if that would work or not. I posted earlier in the feeler thread that the absolute maximum length inside the SYT-5 body is 4.495 inches. According to my printout, G7 is 4.740 inches long. There is plenty of width in SYT-5, but not enough length for the PCB without modification. please tell me how I can get them ? Thanks for the interest. I will put you on the reserved list along with others who have expressed interest. When I receive the microphones, I will contact everyone and start taking payments. For now, I'm just tracking reservations on a list. 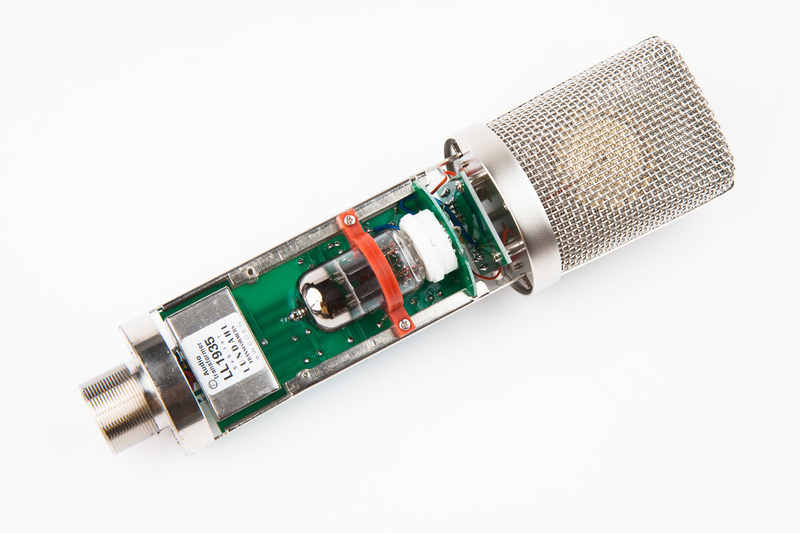 Microphones are scheduled to be complete at the end of the month. Absolutely no problem in removing 0.25" from the length of theG7 PCB, so you are confirming that the width of the inner frame is at least 1.625"? If so I defiantly want one, with the capsule mount. The capsule mount is in the SYT-5 kit list. So, from what I understand (!) it's part of the package, but it can also be ordered separately.